In Matthew 23, Jesus condemned the Scribes and Pharisees and told them that all of the righteous blood that they had shed would come on them. Because of the Jews abominations against God, He made them desolate. 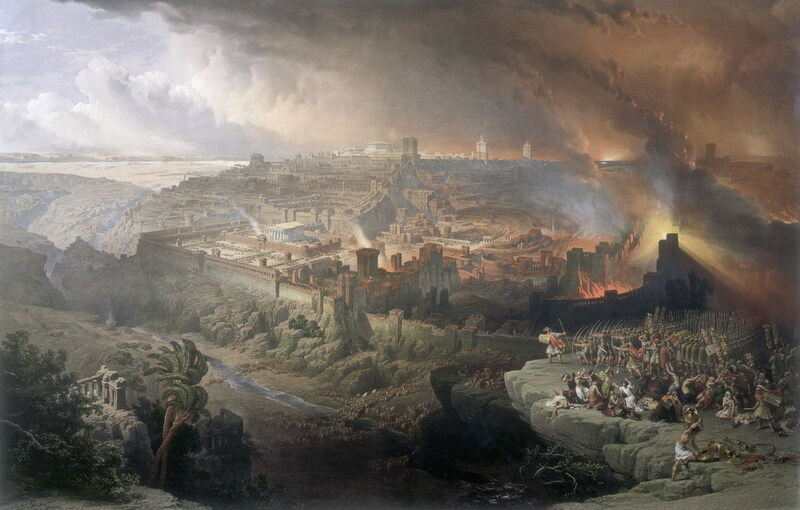 Because of all of the Jews abominations, including delivering Jesus up to be killed, and then killing His disciples, Jesus poured out His wrath on the Jews, through the Roman army. A total of 1.1 million Jews died, and 97,000 Jews were taken captive and sold as slaves. See, the day of the LORD is coming –a cruel day, with wrath and fierce anger– to make the land desolate and destroy the sinners within it. “I have destroyed nations; their strongholds are demolished. I have left their streets deserted, with no one passing through. Their cities are laid waste; they are deserted and empty. Stop bringing meaningless offerings! Your incense is detestable to me. New Moons, Sabbaths and convocations– I cannot bear your worthless assemblies. Jeremiah 11:17T he LORD Almighty, who planted you, has decreed disaster for you, because the people of both Israel and Judah have done evil and aroused my anger by burning incense to Baal. For they have forsaken me and made this a place of foreign gods; they have burned incense in it to gods that neither they nor their ancestors nor the kings of Judah ever knew, and they have filled this place with the blood of the innocent. Ezekiel 5:11 Therefore as surely as I live, declares the Sovereign LORD, because you have defiled my sanctuary with all your vile images and detestable practices, I myself will shave you; I will not look on you with pity or spare you. Malachi 3:5 “So I will come to put you on trial. I will be quick to testify against sorcerers, adulterers and perjurers, against those who defraud laborers of their wages, who oppress the widows and the fatherless, and deprive the foreigners among you of justice, but do not fear me,” says the LORD Almighty. Stephen regarding Solomon’s temple , the Jerusalem temple he said, “However, the Most High does not live in houses made by men.” (Acts 7:48) and he quoted from Isaiah 66 to support his point. 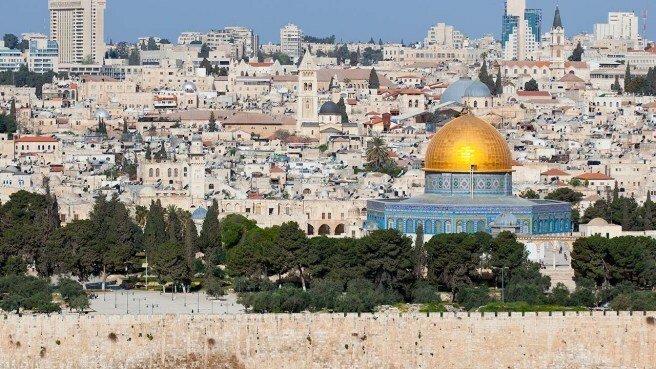 Messianic Jews and Christians tend to still even differ as to how they see the forming of the Christian church. For the Messianic Jews the Church was composed originally of mainly Jewish speaking Apostles , Jews and is a reformed version Judaism..the New testament was supposedly originally written in Hebrew even if there is absolutely no substantiating go it anywhere, and the Apostle Paul is disliked cause he betrays Judaism, But for the Christians the church is composed of Greek speaking apostles and Gentiles ,,and the Apostle Paul is liked cause he helps to bring Salvation to the gentiles..the New Testament was written originally in Greek and there is loads of evidence of this. 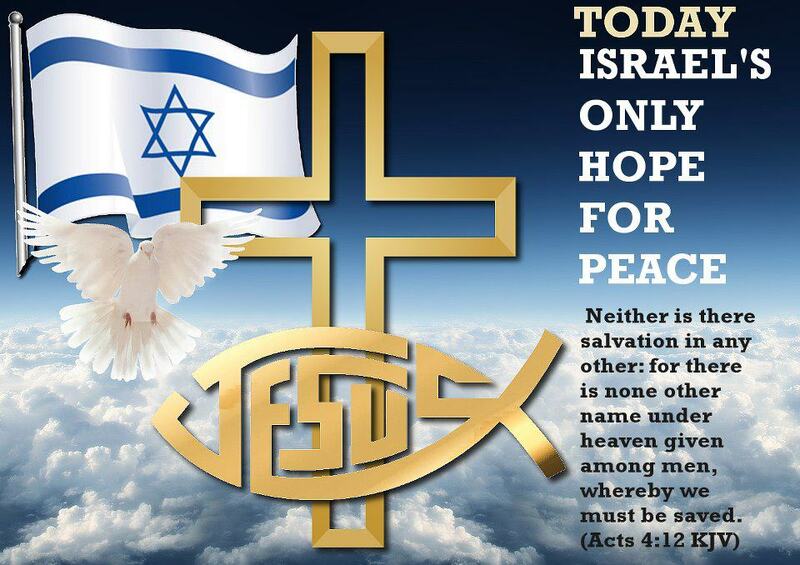 (Rom 10:1 KJV) Brethren, my heart’s desire and prayer to God for Israel is, that they might be saved. 2 For I bear them record that they have a zeal of God, but not accord…ing to knowledge. 3 For they being ignorant of God’s righteousness, and going about to establish their own righteousness, have not submitted themselves unto the righteousness of God. Jesus Christ and the Trinity are some of the greatest issues that separate Christianity from Judaism, But there are many others too. The Basic Truth is that if you falsely rely on the Hebrew old testament and reject what the Greek new testament says you will ne in error, still going to hell even Messianic Jews included.. There are many rather still fools, even ignorant persons who think that they can merely obtain God’s favor by keeping any of the laws of the Old Testament.. these deceived persons all fail to realize that the Old Testament were written to the Jews only, not to any gentiles.. Now today all of these over 465 old testament inapplicable laws are redundant, obsolete even to all of the Jews.. Further more keeping any of these Mosaic laws does not insure any personal entrance into heaven..
We are not under the Old Testament laws but under those laws solely in the new testament… the law of the spirit..(Rom 8:2 KJV) For the law of the Spirit of life in Christ Jesus hath made me free from the law of sin and death. Some clerics, theologians, and scholars have worked hard to recover the supposedly historical Jewish Jesus. why? as the only main portion of the Bible that you really need to read, to follow now is the New Testament because we are no longer under Old Testament covenant, law – essentially the New Testament replaces the basic requirements of the Law and the Prophets of the Old Testament. also the Mosaic Laws were given only for the once chosen Jews.. As nobody today can follow both religions; for they are mutually exclusive. All Believers should still embrace the whole Word of God that is written by God but now they do not follow the non applicable Old Testament laws, rituals. The Old Testament has now been superseded by the New Testament. The sole basis of the Christian faith today, which is why it is also called the New Testament as well, is not at all the Old Testament Judaism but the New Testament Jesus. Jews, Judiazers, even the false Christians themselves who want it seems to promote their own self importance, the false value of the now rather false, obsolete old Judaic religion, old testament dominance and it’s also still the false observation of the Old testament letter of the law over the New Testament spirit of the law approach. It is an ungodly act still too. … we need only to follow the law of the spirit.. (Rom 8:2 KJV) For the law of the Spirit of life in Christ Jesus hath made me free from the law of sin and death.“There is neither Jew nor Greek, there is neither bond nor free, there is neither male nor female: for ye are all one in Christ Jesus. And if ye be Christ’s, then are ye Abraham’s seed, and heirs according to the promise.” The sole basis of the Christian faith today, which is why it is also called the New Testament as well, is not at all the Old Testament Judaism but the New Testament Jesus. “Blotting out the handwriting of ordinances that was against us, which was contrary to us, and took it out of the way, nailing it to his cross; 15 And having spoiled principalities and powers, he made a shew of them openly, triumphing over them in it. 16 Let no man therefore judge you in meat, or in drink, or in respect of an holyday, or of the new moon, or of the sabbath days: 17 Which are a shadow of things to come; but the body is of Christ. 18 Let no man beguile you of your reward in a voluntary humility and worshipping of angels, intruding into those things which he hath not seen, vainly puffed up by his fleshly mind, 19 And not holding the Head, from which all the body by joints and bands having nourishment ministered, and knit together, increaseth with the increase of God.” Colossians 2:14-19 So NOW you who are only “complete in Christ” (v10) even to not allow any foul, law-keep religious devil to judge or condemn you for not keeping an inferior, obsolete Jewish law that was done away with and nailed to the cross. face that truth, reality or you will go to hell next instead. Jesus is the only way of Salvation, forgiveness for your sins, his finished work on the cross is the only way..
Mt.28 states to observe all things that I have commanded you it means and include also what he spoke to the disciples after His resurrection, as preached by the Apostles too now.. “The Old Testament Covenant was never intended to be permanent. (Gal.3:17-18, 22-25) Jesus used two examples in a parable to show the new is not to be joined with the old, (Luke 5:36-39) V.36 “No one puts a piece from a new garment on an old one; otherwise the new makes a tear, and also the piece that was taken out of the new does not match the old.”Heb.8:13 “In that He says “a New Covenant,” He has made the first one obsolete…”. Paul describes the Mosaic covenant in 2 Cor.3: 7 the HOLY SPIRIT tells us, is “passing away” and is “abolished” (verses 11,13), in its place we have the “ministry of the Spirit” and “the ministry of righteousness” (verses 8,9).” For “the life which I now live in the flesh I live by faith in the Son of God, who loved me and gave Himself for me. I do not set aside the grace of God; for if righteousness comes through the law, then Christ died in vain.” You are trying to earn favor with God by observing certain days or months or seasons or years. I fear for you. Perhaps all my hard work with you was for nothing. Dear brothers and sisters, I plead with you to live as I do in freedom from these things, for I have become like you Gentiles—free from those laws. Galatians 4:10-12 So don’t let anyone condemn you for what you eat or drink, or for not celebrating certain holy days or new moon ceremonies or Sabbaths. Next the completion of God’s purposes with the Gentiles marks the beginning of His renewed grace to the people of Israel. 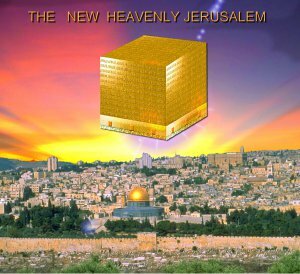 After the time of the Gentiles has been fulfilled, after the fullness of the Gentiles has come into the kingdom, then ALL of the ordained ISRAEL will be saved, the “times of refreshing shall come from the presence of the Lord”. (Acts 3:19) Not all of the Jews will be saved .. 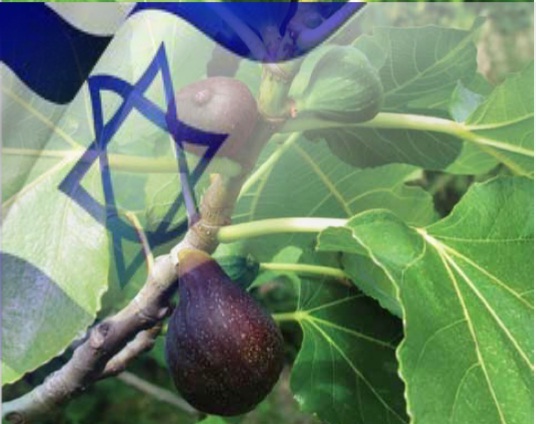 It is true that many Jews are, were disappointed God has no longer a n aim to restore the political nation of Israel.. even with the coming and the return of Jesus Christ. Now if their fall is riches for the world, and their failure riches for the Gentiles, how much more their fullness! … For if their being cast away is the reconciling of the world, what will their acceptance be but life from the dead? (Romans 11: 12, 15). Your kingdom come. Your will be done on earth as it is in heaven. Heaven is not Hebrew or Jewish..
For all the promises of God in Him are Yes, and in Him Amen, to the glory of God through us. (2 Corinthians 1:20) No promise about a restoration of the political nation, state of Israel in the New Testament still is mentioned, exists. For the Lord shall build up Zion; He shall appear in His glory. (Psalms 102:16) is a reference now to the New Heavenly Zion for the Church where both redeemed Jew and the redeemed gentile will live together. In Luke chapter one, verses thirty-one through thirty-three, the angel says to Mary: God reaffirms “And, behold, thou shalt conceive in thy womb, and bring forth a son, and shalt call his name JESUS. He shall be great, and shall be called the Son of the Highest: and the Lord God shall give unto him the throne of his father David: And he shall reign over the house of Jacob for ever; and of his kingdom there shall be no end.” It is the kingdom of Jesus being built that will have no end and not the kingdom of Israel. Revelation 312 Him that overcometh will I make a pillar in the temple of my God, and he shall go no more out: and I will write upon him the name of my God, and the name of the city of my God, which is new Jerusalem, which cometh down out of heaven from my God: and I will write upon him my new name.